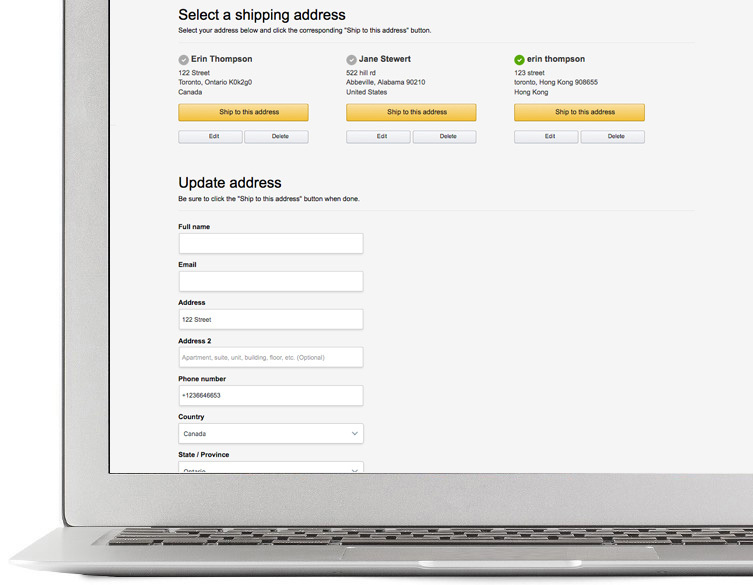 Buyers can set up and save multiple shipping address profiles to select when checking out. 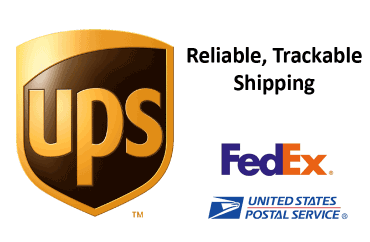 This feature is also convenient for buyers who are shopping for gifts and want to ship to multiple recipients. 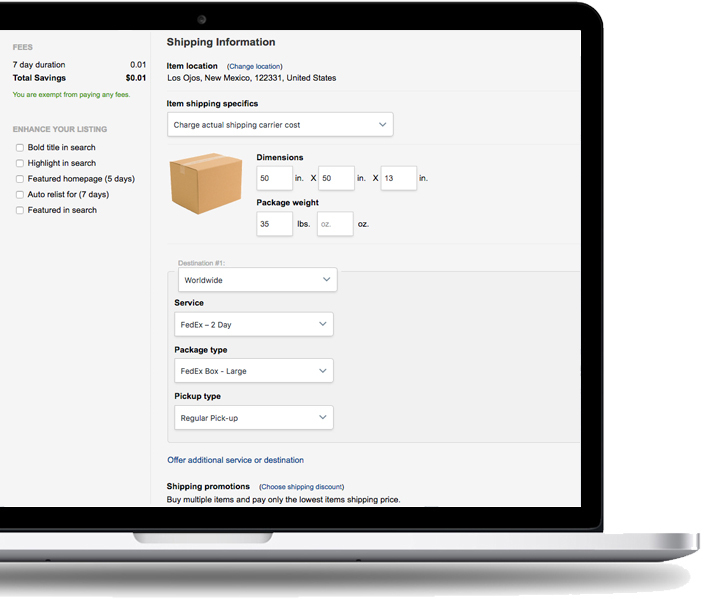 Sellers can use the built in API to fetch live rates for their buyers while shippers gain the insight on the best rate to charge resulting in greater automation than ever before.